Today I thought that I would show you a few things that I have been pinning over on Pinterest recently. If you follow me then you will know how addicted to it I've been over the past couple of days. I haven't been feeling that well so blogging, netflix and pinterest have all been my best friends and I'm pretty sure I've been driving my followers mad. Keep reading to find out more about my favourite pins. 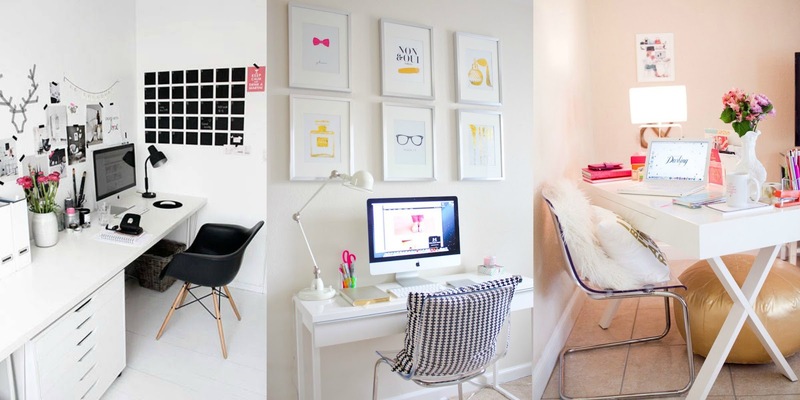 The first few things that I've been loving to pin recently have been office work space images. I don't have an office nor any space to create an office however I do have a desk. It's not white, it's a brown oak shade which I still absolutely love however I'm looking at ways I can spruce up the area and make it more personable to me. I absolutely love the idea of putting a collage of photos just above the computer or a few of your favourite quotes above to inspire you when you're struggling to complete and assignment or getting stressed about a job application or something. I also love the idea of keeping flowers on top of a desk too as it's a great way to make it a more relaxed environment. When it comes to healthy eating pinterest has been absolutely amazing for me. 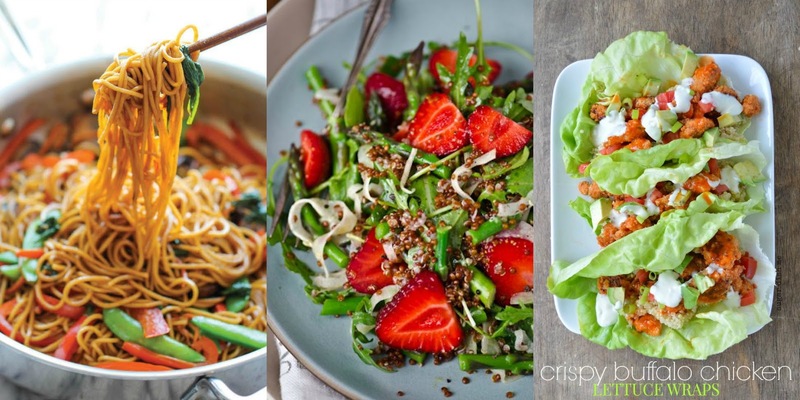 I've been creating a ton of new recipes on there recently and these three are next on my list. I love noodles and the stir fry mixture just seems so appealing to me. I also love the look of the salad too. I will be honest and say fruit in salad (unless it's a fruit salad of course) has never really appealed to me much but this just looks so good so I'm definitely going to try it. When it comes to lunch time I love my wraps. I always buy tortilla wraps from the shops and fill them with lots of delicious fillings and it's never ever occurred to me to try a lettuce wrap before and they just look so incredibly delicious and they are also extremely healthy! Rose gold, copper and bronze coloured things have become my obsession recently. I was obsessed with all things tiffany blue for a while but now I've sort of switched direction and gone for the rose gold and I absolutely love it. 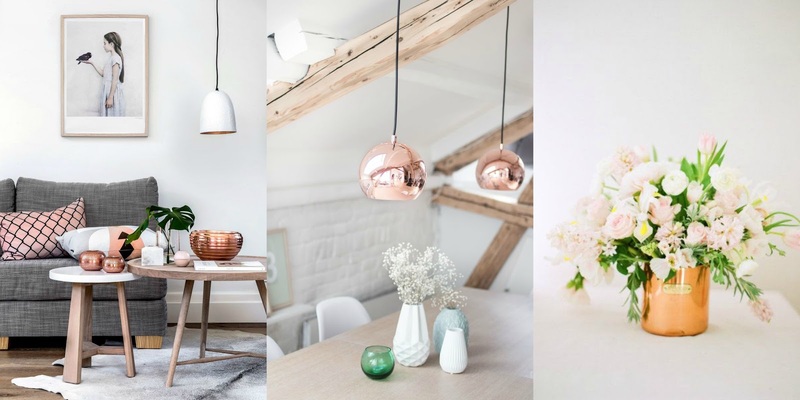 I'm planning on purchasing a few rose gold things soon to just go around the house as I just think that it is a colour that will go with absolutely everything and look so nice and different around the house. I especially love the vase with the flowers in. I think this is so much prettier than a plain white vase or a plain glass vase. 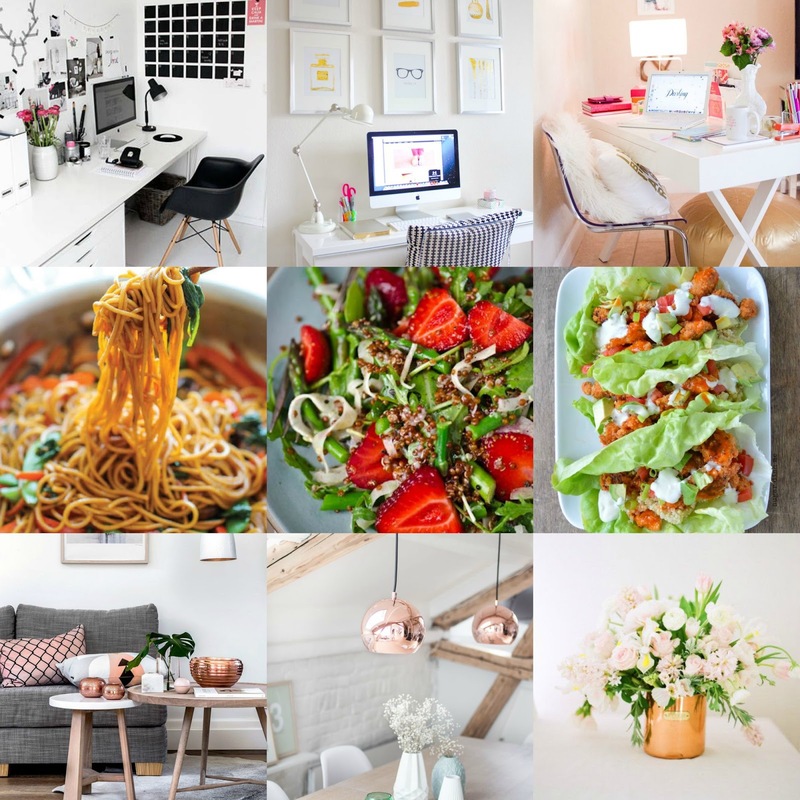 These are all the things I have been pinning recently. I think in the past few days I've pinned over 300 things. Woops. Sorry if I've spammed your feeds! If you love pinterest or don't know what it is but like the sound of it then you can head on over and check mine out HERE. If you do have pinterest then be sure to leave all your links below and if you have done a post like this be sure to leave that below too. I'm not planning on posting tomorrow as it is Easter and I'll be spending lots of time with my family but I hope you all have a lovely Easter. I'll be back on Monday with a beauty review! What are your favourite things to pin? I looooove Pinterest! I also love the idea of a cute desk/blogging area but I have no room for it :( rose gold is such a pretty colour too! You've inspired me to begin using my Pinterest more again as well so thank you haha!! Got to admit, I share your love for rose gold! I'm in love with it at the moment!! !